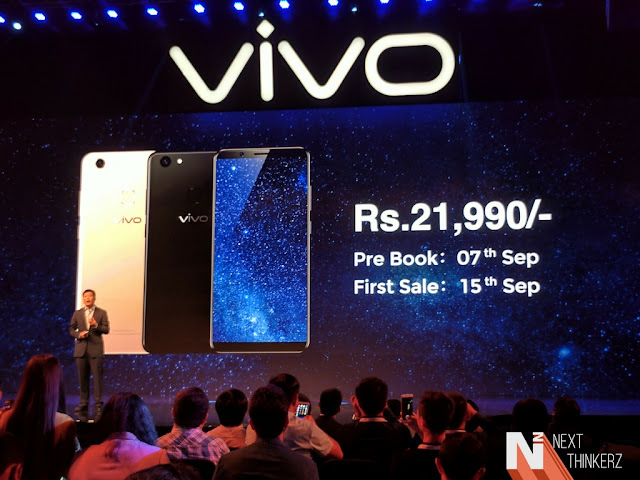 Vivo launched its flagship of the year, the V7+, today in India. 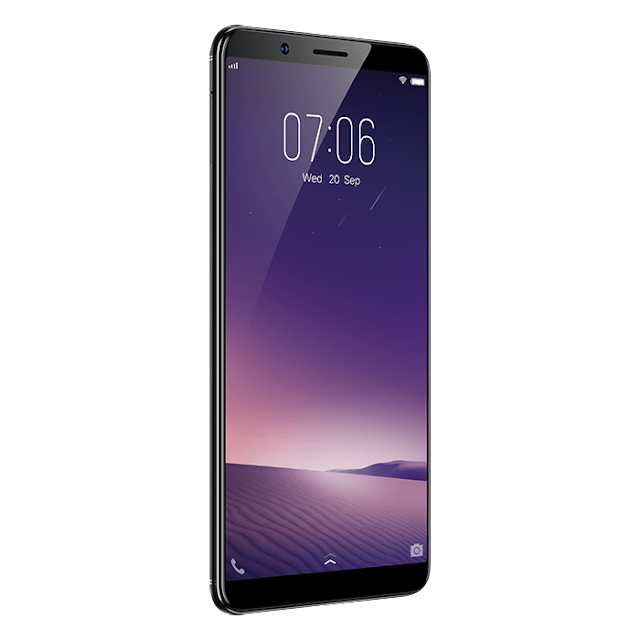 The smartphone with a 24 MP selfie camera is the successor to Vivo's previous flagship - the V5+. The Vivo V7+ has a Snapdragon 450 underneath, making it the first smartphone in Indian market to sport this chipset. While the 450 is still new, it is definitely not an upgrade from the Snapdragon 625 which powered the V5+. 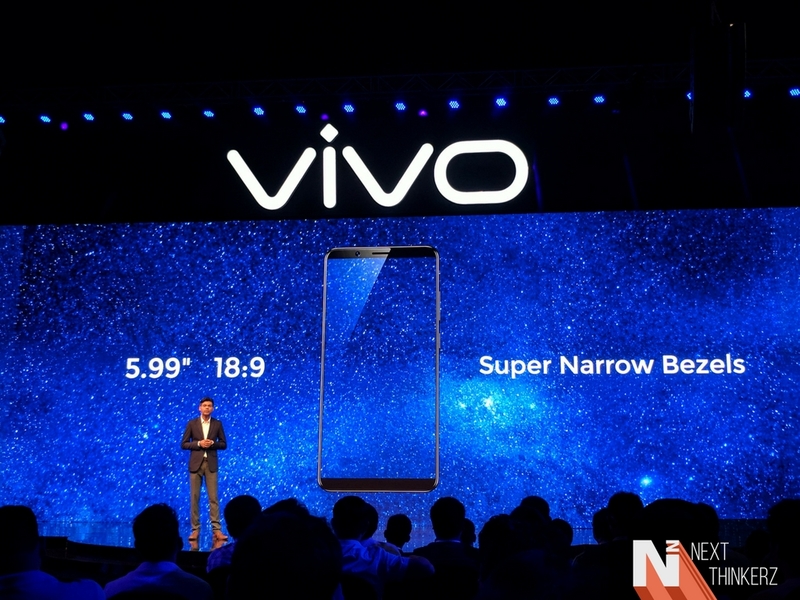 The display measures 5.99 inch and has a 1440 x 720 (HD) resolution and its called FullView display due to its very thin 2.15 mm bezels and 2:1 ratio. This is, again, a downgrade from the FullHD display of V5+. 4 GB of RAM comes along with internal storage capacity of 64 GB, expandable by up to 256 GB externally. The rear camera sports a 16 MP sensor with f/2.0 aperture while the front camera is a 24 MP shooter. The rear camera is capable of shooting ultraHD 64 MP pictures as well. The selfie camera features a bokeh effect which artificially creates a blur effect on the background. Other features include live filters, wide selfie etc. It will be running on Android 7.1 Nougat, with a heavily customized Funtouch OS 3.2 skin. An additional AK4376A Hi-Fi chipset is present to boost the quality of audio output. A non-removable 3225 mAh battery powers this device. The Vivo V7+ is priced at Rs 21,990 and can be pre-booked via Amazon and Flipkart. Sale will begin on 15 September and it will be available in two colors - Matte Black and Champagne Gold.